Take your students on a journey without leaving the classroom. Field Trip Library brings events to life through significant places,timelines and rich media. 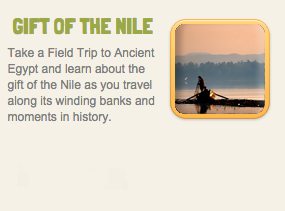 Tour the ancient civilizations of Egypt, discover the world alongside Christopher Columbus, and witness the Salem witch trials through rich media and interactive maps. Color your lesson plans with National Geographic video, photos, audio clips, podcasts, articles, quizzes and more. Our Field Trips are developed by teachers and academics like you, to simplify complex events from history, geography, science and popular culture. 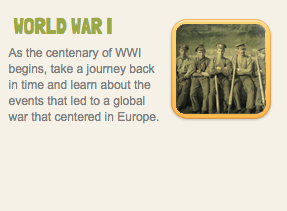 The content includes a combination of topical and traditional subjects to suit every classroom. Put Maps101 to work by connecting exclusive material to your Field Trips. Designed and developed by educators like you, every Field Trip includes lesson plans and activities that reinforce understanding and critical thinking, and save you time as well. Field Trip Library and Maps101 are both correlated with Common Core and TEKS standards. Content is accompanied by useful tools such as critical thinking exercises and text-dependent questions. Questions or comments? We want to hear them. Get in touch with us if you need help setting up a subscription or just have something to say! 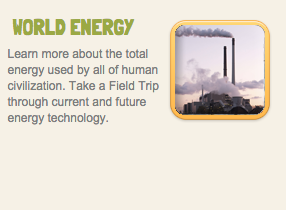 Use Field Trip Library for classroom-based one-to-many instruction, or through individual student tablet devices. Like Maps101, Field Trips can be accessed from home or school via any internet browser using the school or district login. Field Trips are meant to be fun! Get your students active and engaged with games and activities designed to reinforce skills and make learning interesting and fun. MAPS, VIDEOS, ANIMATIONS, GAMES, NEWS ARTICLES, LESSON PLANS & ACTIVITIES. Every student learns differently. Maps101 offers a variety of rich, engaging media for every learning style. From full text current affairs reports to audio podcasts, interactive maps, games, and videos from National Geographic, there are materials for every sense. With such an array of topics and media available, we want to ensure you get the most out of your school’s subscription. Maps101 offers support to teachers both in theory and practice. From introductory videos and live webinars to classroom activities and collections, we make sourcing teaching materials easier and quicker. Maps101 saves teachers time by providing packaged lesson plans complete with support materials. In just a few clicks you can access a ready-to-go lesson plan that will engage your students and cover the basics. COMMON CORE IN DUAL LANGUAGES. Studies show that teaching subjects in dual languages helps strengthen understanding in multiple domains simultaneously, and in just a fraction of the time spent learning the material. 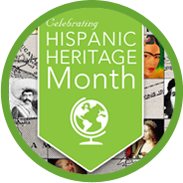 Maps101 offers an entire section of Spanish-language content dedicated to connect ALL of your students to the material you teach, so you don’t have to have two programs going on at once. Field Trip Library is now a multi-award winning teaching tool. Esri, the nation's leading provider of Geographic Information Systems, gave Maps.com a Silver Partner Award for the product in July 2014, as a most innovative use of their Story Map platform. Last week both Tech and Learning Magazine and the International Map Industry Association bestowed awards of excellence upon us for use of location-based technology. See what all the fuss is about - request your free 30-day trial of Maps101 with Field Trip Library today!